Classic and modern collide wearing the RED VALENTINO™ Abito Macro Rete Cotone Dress. Cap, flounce sleeves with tie details. Back zip and tie closure. 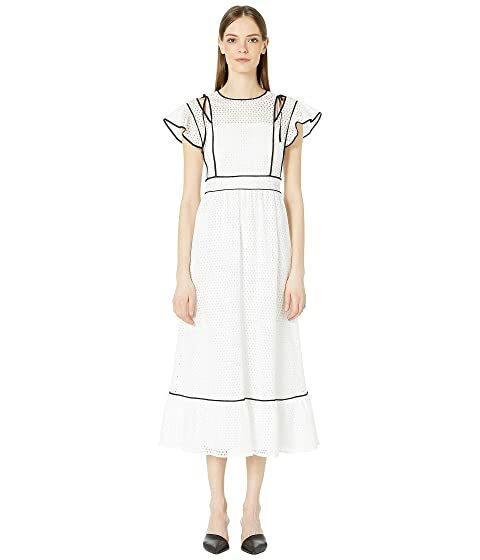 We can't currently find any similar items for the Abito Macro Rete Cotone Dress by RED VALENTINO. Sorry!